Welcome to the Year 6 Homepage! is the Year 6 teacher, with help from Mrs Orr, Mrs Coulson and Mrs Sole. Mrs Lane teaches Spanish. Bianca and Tammy-for hard work this week. Reading for the love of reading and to increase comprehension skills is very important in Year 6. Expectations are that every child should read at home for at least 15 minutes every school night. Your child does not necessarily need to read aloud to an adult but the reading record must be signed as evidence that he or she has read. 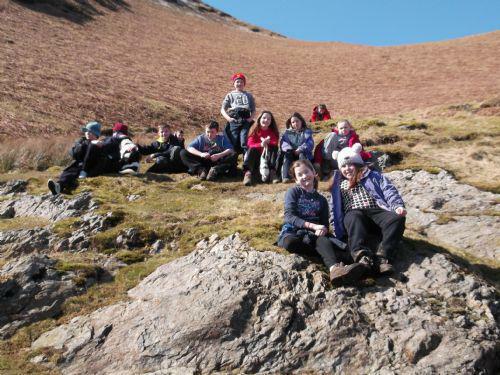 In March, a group of Year 5 and Year 6 children went to the Lakes. Despite having to leave Cumbria at 5.00 am (!) to escape the snow, everyone arrived back safe and sound, having had a great week. In the week before half term, Jenna, Louise, Liam, Lewis, Jack, Mikey and Dolton flew to Zaragoza to spend some time practising their Spanish with the Year 6 children from our partner school, Colegio Antonio Machado. 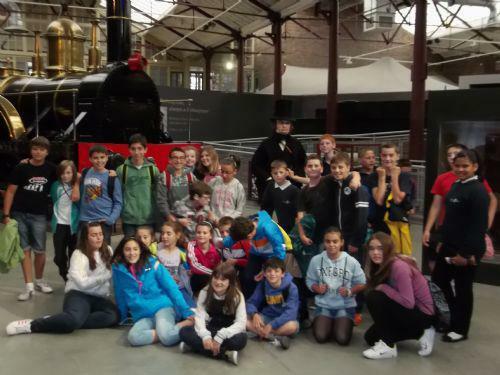 On Friday 28th June, we said a sad goodbye to 24 tired, but happy, children from Colegio Antonio Machado who had travelled from Zaragoza to spend a week working with us. As well as rehearsing and performing our joint production of Oliver Twist, we went to Steam together to find out about life in Victorian Swindon and took part in activities like art, dance, cooking and printing. Well done to Mikey for playing Oliver (alongside a Spanish Oliver-very confusing!) and Sol for being a very scary Mr Bumble! Mrs Lane playing wheelchair basketball. The view from the farmhouse in Zaragoza. The farmhouse where we stayed. Playing at "El parque del Agua"
We learnt to dance "sevillanas". Making a bowl out of colourful streamers. On the train around "El parque del agua"
The whole group visiting "La Aljaferia "